Dog lovers unite! Chewy carries all you need for your lovable pup all available at the click of a mouse. 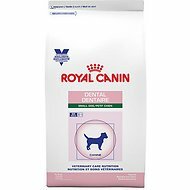 Spoil your dog with only the best in dog supplies for dog food, dog treats and dog toys. 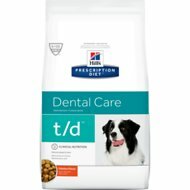 If you've been searching for dental & breath care dog prescription food, look no further. 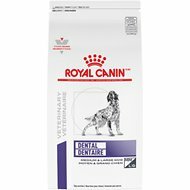 Among the wide selection we carry, one option to try is Royal Canin Veterinary Diet Dental Small Breed Dry Dog Food. Key benefit: contains a patented antioxidant complex to support cellular and immune health: Vitamin E, Vitamin C, Lutein, and Taurine. 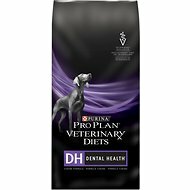 Another product is Purina Pro Plan Veterinary Diets DH Dental Health Small Bites Formula Dry Dog Food. Key benefit: there's exceptional palatability, added antioxidants, and natural sources of glucosamine to promote overall well being. From nutritious dog food to fun dog toys, Chewy has it all! You'll find everything you need - and if you have any questions be sure to reach out to our customer service available 24 hours a day, seven days a week. 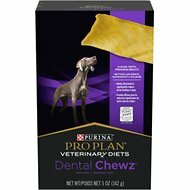 For all your pet needs including dental & breath care dog prescription food, Chewy has you covered! We're here for you.